Sheetlet with 4 values (4v M/S): 2.40 x 2, 3.00, 6.00. You will be back for more! Sheetlet with 2 values (2v M/S): Z x 2. You will be back for more! Sheetlet with 4 values (4v M/S): 7.00 x 4. You will be back for more! (Ukraine 2016 Luhansk Region - Mint Never Hinged (MNH). Sheetlet with 4 values (4v M/S): 2.40 x 2, 3.00, 6.00. You will be back for more! 3) Select each item and 'Add to Basket'. (Set of 2 values (2v Set): Z, W. You will be back for more! 3) Select each item and 'Add to Basket'. 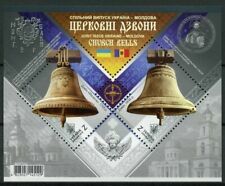 (Ukraine 2018 Church Bells - Joint Issue (JIS) with Moldova - Mint Never Hinged (MNH). Sheetlet with 2 values (2v M/S): Z x 2. 3) Select each item and 'Add to Basket'. Sheetlet with 4 values (4v M/S): 4.00 x 4. You will be back for more! UKRIANE - 2004 BRIDGES / ARCHITECTURE - MIN. SHEET MINT NH. Ukraine 2018 Sumy Oblast (Region) - Mint Never Hinged (MNH). Sheetlet with 4 values (4v M/S): 7.00 x 4. You will be back for more! 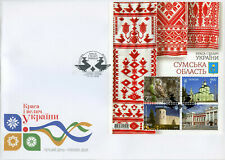 (Booklet with 2x Sheets with 1 value each (2x 1v S/S): Z, W. You will be back for more! 3) Select each item and 'Add to Basket'. 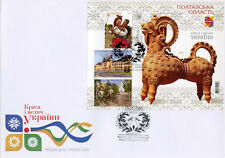 (Ukraine 2016 Kolomyia Town 775 Years - Mint Never Hinged (MNH). Sheetlet with 1 value (1v S/S): 7.65. 3) Select each item and 'Add to Basket'. 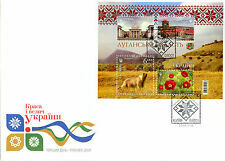 Ukraine 2018 Chernihiv Oblast (Region) - Mint Never Hinged (MNH). Sheetlet with 4 values (4v M/S): 7.00 x 4. You will be back for more! Ukraine 2017 Poltava Oblast (Region) - Mint Never Hinged (MNH). Sheetlet with 4 values (4v M/S): 4.00 x 4. You will be back for more! Set of 1 value (1v Set): 2.40. You will be back for more! Sheetlet with 1 value (1v S/S): 7.65. You will be back for more! (Set of 1 value (1v Set): 4.00. You will be back for more! 3) Select each item and 'Add to Basket'. Sheet with 4 values (4v M/S): 2.40 x 2, 3.00, 6.00. You will be back for more! Stempel und Zentrierung der hier zum Verkauf stehenden Marke(n) können sich vom Musterbild unterscheiden. Set of 1 value (1v Set): 7.00. You will be back for more! Sammlungsstücke und Antiquitäten / Sonderregelung. Stempel und Zentrierung der hier zum Verkauf stehenden Marke(n) können sich vom Musterbild unterscheiden. Bei den abgebildeten Marken handelt es sich um ein Musterbild. 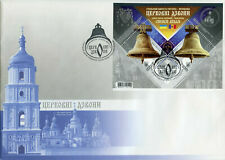 (Ukraine 2018 Catherine's Church - Chernihiv - Mint Never Hinged (MNH). Set of 1 value (1v Set): 7.00. You will be back for more! 3) Select each item and 'Add to Basket'. 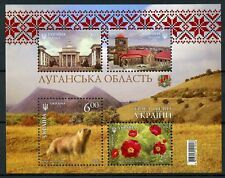 (Ukraine 2016 Transcarpathian Region - Uzhhorod - Mint Never Hinged (MNH). Set of 1 value (1v set): 2,40. You will be back for more! 3) Select each item and 'Add to Basket'. UKRAINE - 2004 BRIDGES / ARCHITECTURE - MIN. SHEET MINT NH. SE SCIEGLIETE LA PRIORITARIA 4 A VS RISCHIO E PERICOLO.